Green is not what you expect to hear when you hear someone talk about a country in the Middle East, but it is when you speak about Oman. Especially, if you are talking about Salalah, Oman during monsoon season. Yes, I said monsoon season! 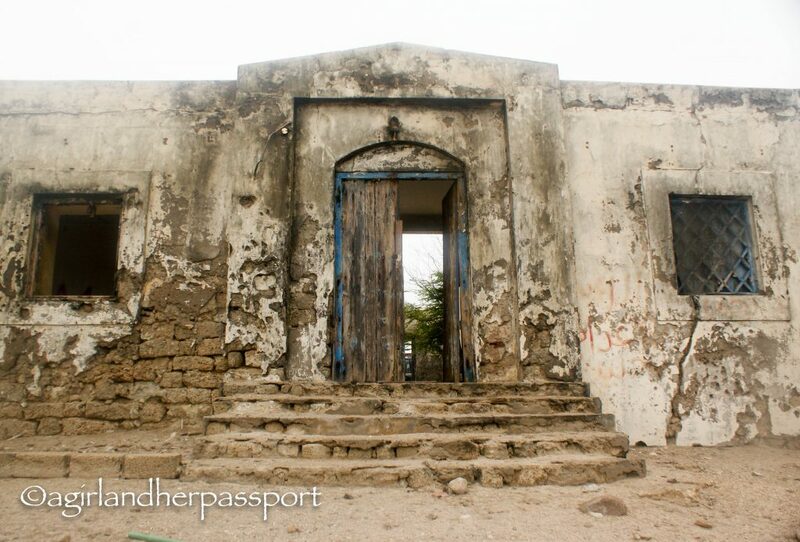 You may even be wondering where Salalah is at this point. 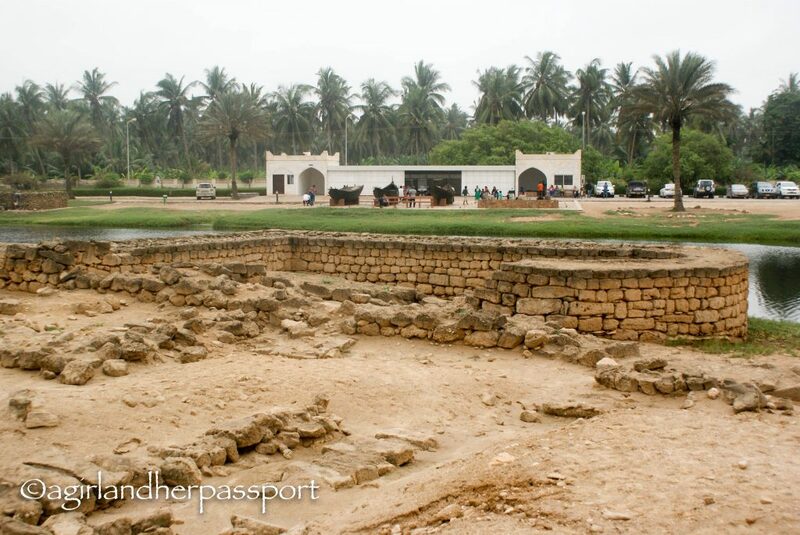 Located in the southern part of Oman, Salalah is about 200 kilometers from the Yemen border. It is perfectly safe to visit, as the border with Yemen is far from anything that is happening there. Even though I had seen pictures, I wasn’t quite convinced that this lush green oasis existed in the harsh Middle Eastern landscape. Since it is a short two-hour flight from Doha, I decided to visit right at the beginning of Khareef (monsoon, but literally autumn) season. 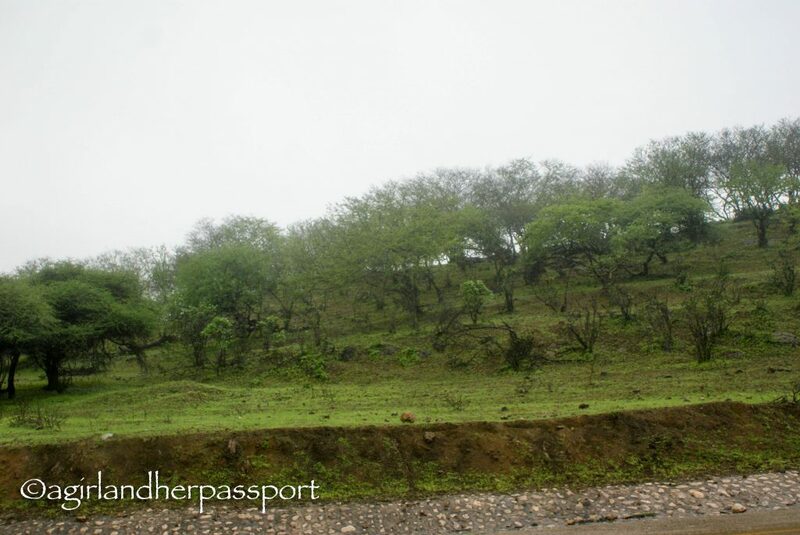 In the city of Salalah, Oman it is greener than Doha and Dubai, but not lush. 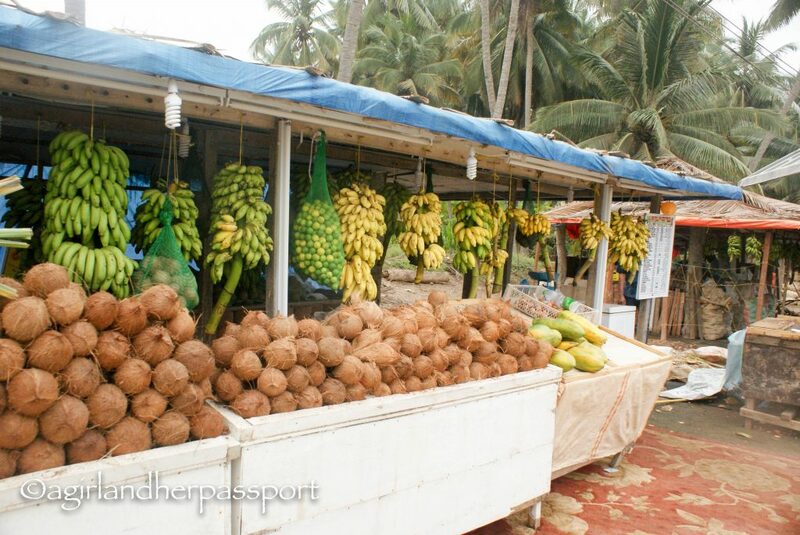 There are more trees and many banana plantations. Once you leave the city, it gets greener and greener as you head into the mountains. Mountains are the other feature that astonished me. Most of Qatar is quite flat, and I know that mountains exist in the Middle East, but I always thought they would be small and not very impressive. I was wrong! 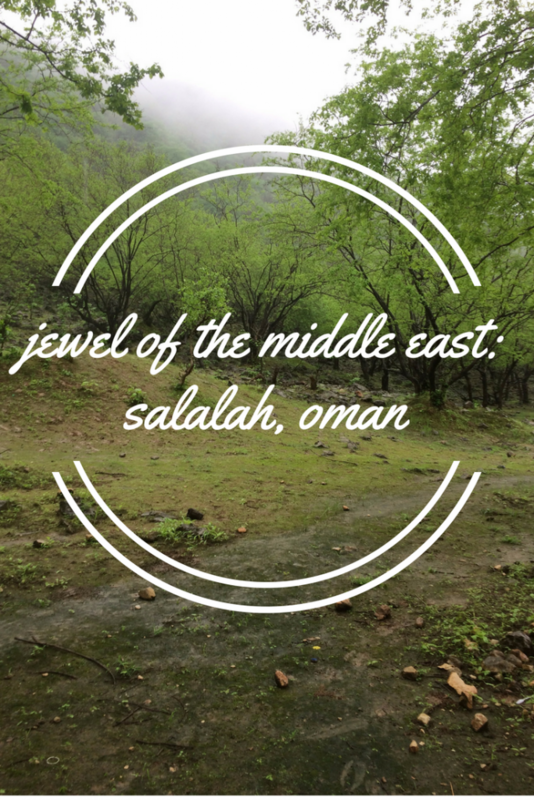 The mountains are part of the reason that Salalah, Oman is so green as they catch the moisture and increase the rainfall in the mountains. As you can see from the pictures, it was misty and raining most of the time. So green, mountains and camels mixed together make for an unexpected trip to the Middle East. 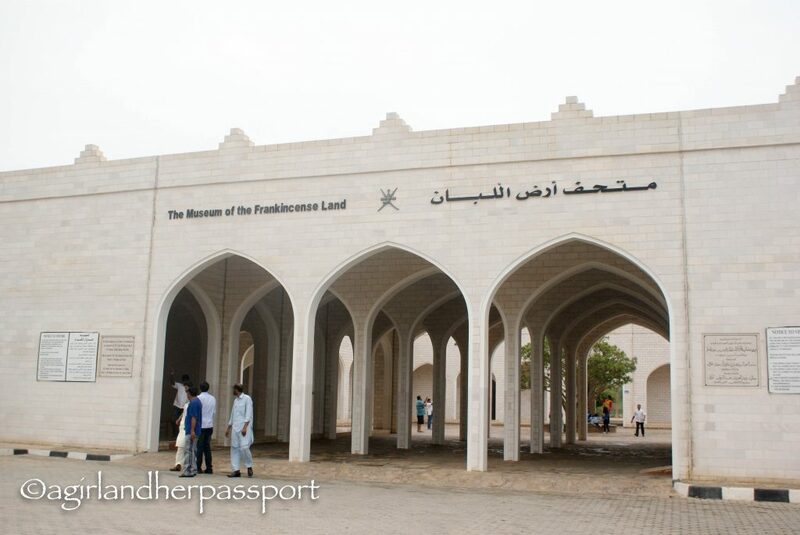 Frankincense Museum and Al Baleed Archaeological Park – These two sites are next to each other. You pay one fee per car, and it gets you into both. The Archaeological Park is an excavation of a settlement that dates back to 2000 BC, and they have done an impressive amount of work to uncover the village. The museum covers the history of Oman and the region with a focus on shipping. Al Mughasayl Beach and Marneef Cave – While you can’t swim at this beach during monsoon season as the waves are too rough; you can visit the blowholes. The mountains meet the ocean here, and small blowholes have developed. Stand on the grates covering the blowholes and get soaked. Go very early in the morning before the huge crowds show up! Wadi Darbat – One of the most spectacular sites in the Middle East. 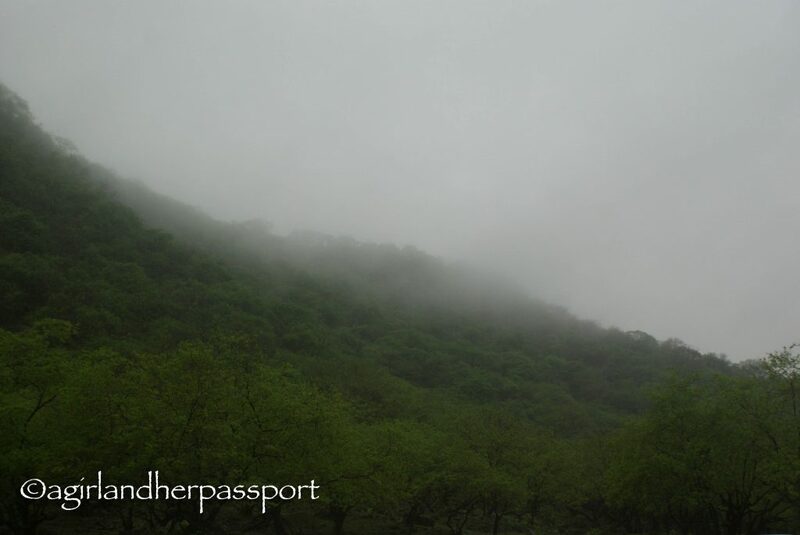 First, you head up the Dhofar Mountains and drive through winding roads at about 20 kph because of the thick mist. Follow the signs for Wadi Darbat, and you suddenly head down into a valley. The valley opens up to what at sometimes is a flowing river. You can walk through the Wadi, but be careful you don’t slip and fall, like me! I am still paying for that fall. (Hint: wear appropriate shoes!) You might want an umbrella. 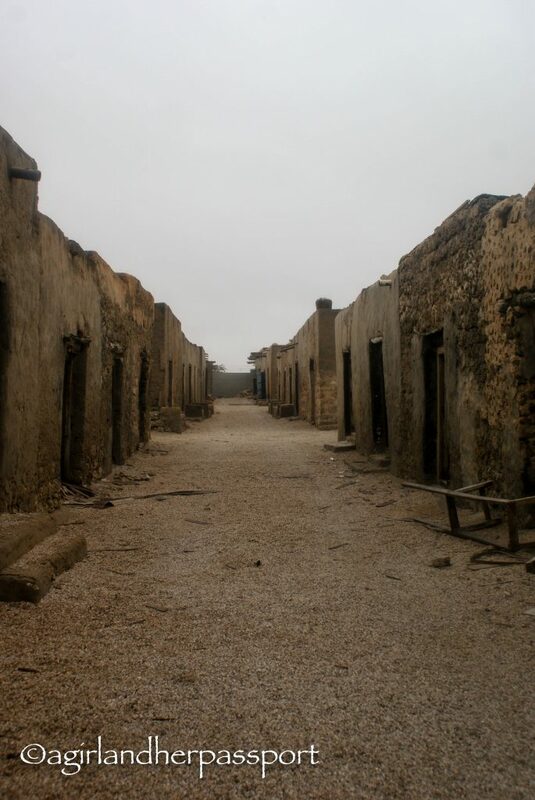 Go north to Mirbat – Yes, this is not Salalah, but you should see the abandoned house here. 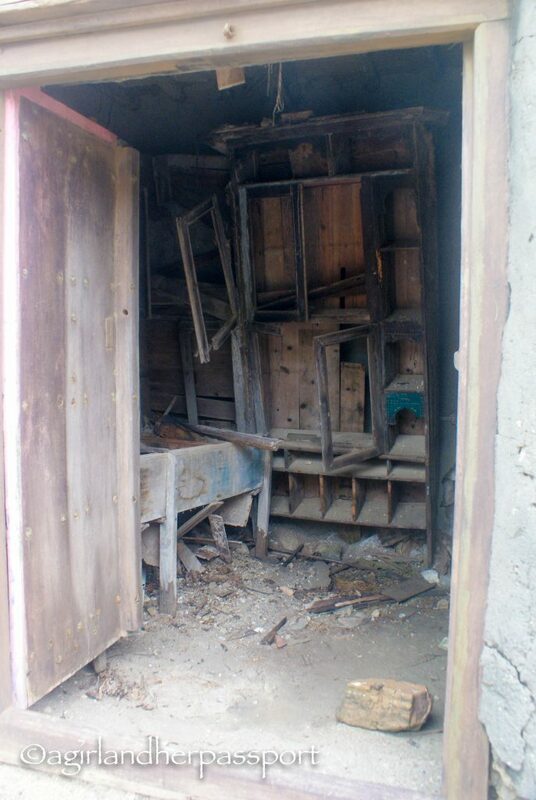 These houses are built in the traditional Yemeni style but are in disrepair. It is a great place for photography. The houses are built right on the natural bay and have calmer seas than at Al Mughasayl Beach. The nearby castle might be worth checking out but don’t go on a Friday as it is closed. 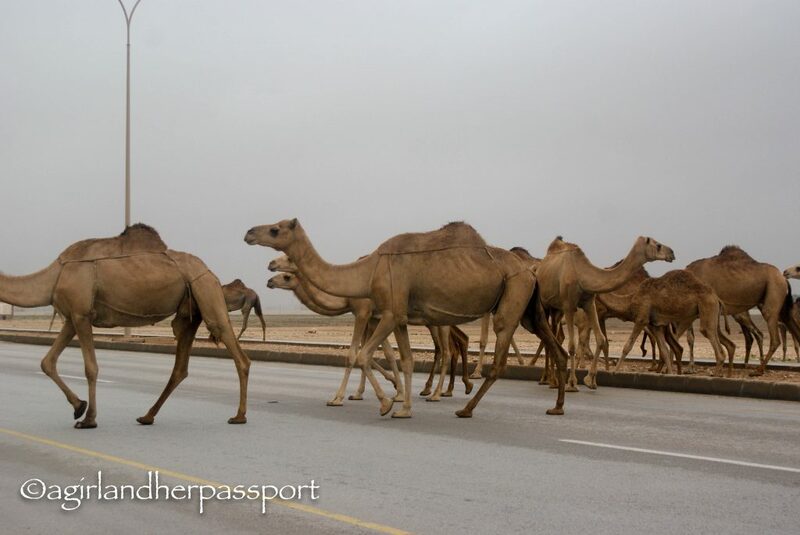 Meet Friendly Camels – There were more camels in Oman than I have ever seen in Qatar. This camel was very interested in us and wanted to get really close. I, on the other hand, was hoping to keep a safer distance. Fly to Salalah! From Qatar, there is a two-hour direct flight. If you aren’t coming from Qatar, you will probably have to layover in Muscat or Dubai. However, the flights from these places are very short. You can drive from Muscat, but the drive is very long. Plus you will probably want to spend time in Muscat as well. 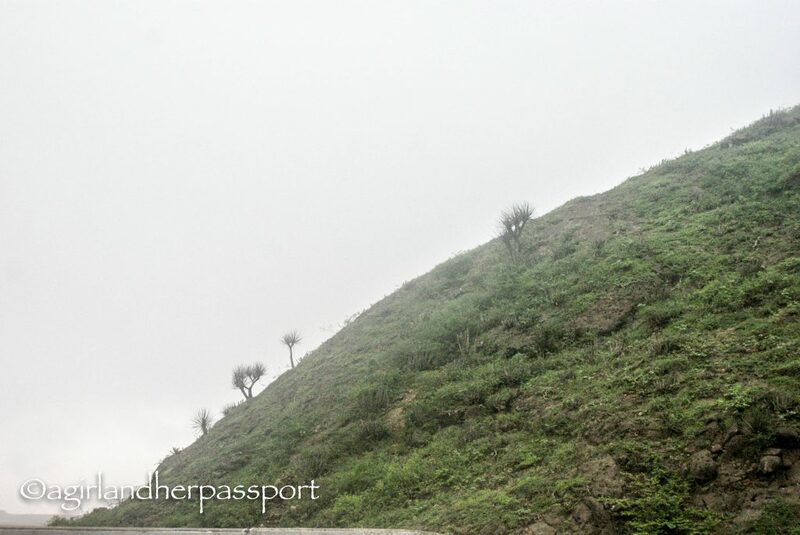 Once in Salalah, I recommend renting a car to explore the area. Everything was an easy drive, and most things had good signage. 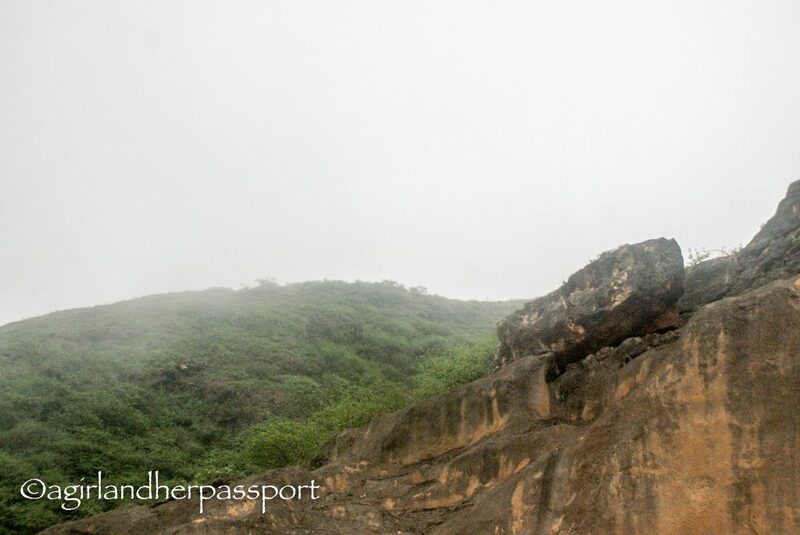 Have you been to Salalah, Oman? Thanks! It was so beautiful. You have to go during the monsoon season though to get this green effect. You will love it!! I do too. It must be so different. I need to send you the pictures of you from the trip. 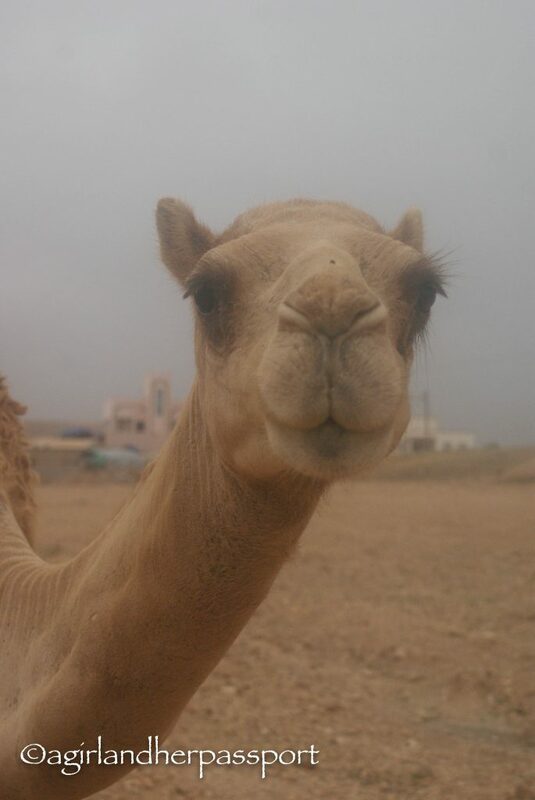 If the drive from Muscat is feasible, I’ll to to head to the museums and say “hello!” to the camels. Otherwise, might have to make up another excuse to fly back to Oman! =) Thanks for the tips Tiff!! It’s a long drive. You can fly from Muscat. You are welcome. Enjoy your trip! Happy Birthday in advance!! Ms. Hala recently posted…Treat Yourself on Your Birthday! Visited Oman for the first time this year, and definitely want and need to go back again. 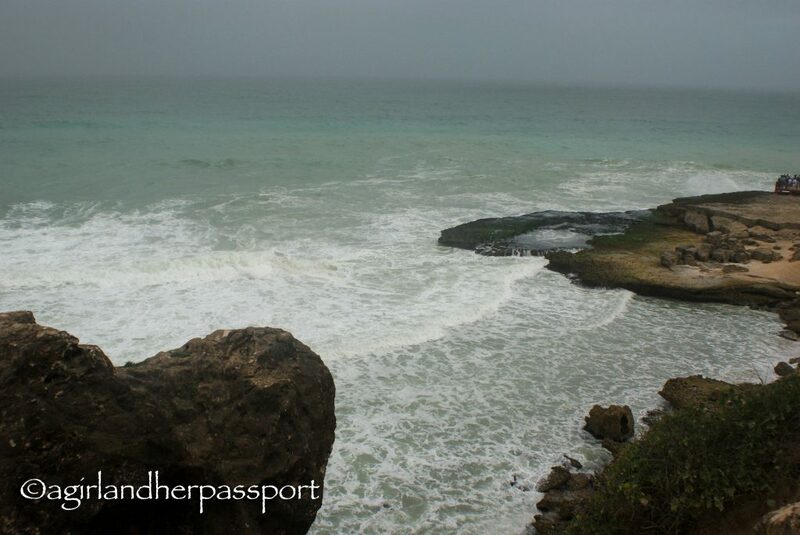 Salalah is high on my list of places to see on a revisit! 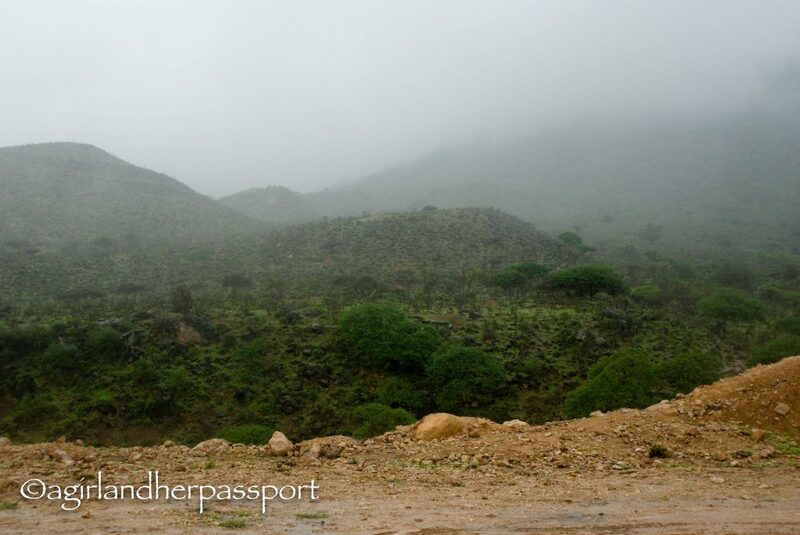 I need to go back to Salalah during the non-monsoon season to see what it is like. Hope you make it soon! Never have thought about it to go here! But it looks like an amaaazing destination which could be one of my next stops if i see this:)! You should try to go! I would love to go back. Oman has becomes to be known as one of the most popular tourist destinations in Middle East thanks to the country’s strategic location and its unspoilt natural beauty with its scenic landscape. Salalah Oman is one the best place to visit. It is such a great spot. I hope to go back one day.